British alt-rock band Mumford and Sons has been quite busy in 2019, and we haven’t even covered half the year yet! 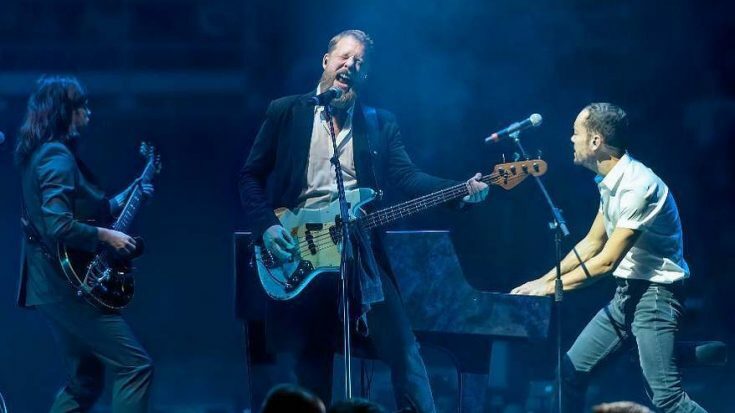 The band has been touring North America extensively for 21 days, and has recently ended the first phase of the world tour on the 31st of March, at the Fiserv Forum in Milwaukee. Mumford and Sons’ Delta Tour has been named after their hit 2018 album, Delta. The album saw huge success in its debut, scoring the top place in the Billboard 200 chart. This makes Delta Mumford and Sons’ third album to bag number 1. The band was seen earlier at Miller Park, where frontman Marcus Mumford threw for the ceremonial first pitch before a Milwaukee Brewers game. The band then headed to Fiserv Forum, where they played selected tracks from their four studio albums. Mumford and Sons played their new material from the recent album Delta on their 13-track setlist as well, along with all-time fan favorites such as “Tompkins Square Park”, “Little Lion Man”, “The Wolf”, and “The Cave”. During the British band’s extended encore performance that spanned 8 songs, they suddenly unearthed their past encore track, AC/DC’s “You Shook Me All Night Long“. The band hasn’t touched the classic Back in Black single since April of 2016. While there has been no proper video of that performance as of now, sit back and enjoy this 2016 version of the encore. The band’s guitarist Winston Marshall takes the lead vocals for this performance, and added his own flair to the iconic song. Fans were eager to join in on the fun, and sang with the energy AC/DC would be proud of.